Running a professional eatery requires more than just a passion for great food: it also takes perseverance, strong organisational skills, and the ability to manage a team of staff. You’ll also need to have a knack for finding and exploiting gaps in the market and be able to keep generating new ideas that will keep your customers coming back for more. If you think you’re up to the challenge, here’s what you’ll need to become a successful restauranteur. It goes without saying that all restaurants should deliver good food and provide a clean and relaxed environment for their guests. But, your business will only truly prosper and come into its own if it offers something unique. It is important to recognise exactly why your customers would want to visit your restaurant. Will they come for the exceptional food? Will they come for the beautiful surroundings? Will they come because it’s good value? 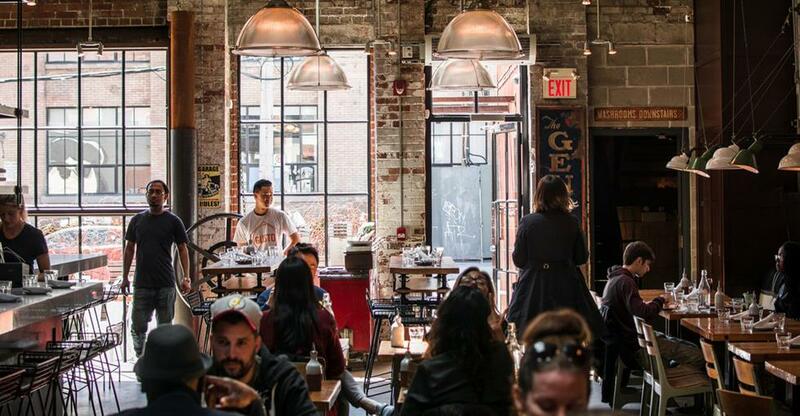 Are most of your diners choosing your restaurant because it’s in a prime location? Only if you are offering something clearly defined will you have a continuous flow of both new and returning customers. So, make sure you know exactly what you are offering and what the central idea behind your restaurant will be, ideally even before you buy the business. Whatever your customer base, don’t just expect them to hear about you through word-of-mouth, or find you by accident. If you want new customers, you need to reach out and be proactive. Make sure you have a marketing campaign, a user-friendly website, and are active on social media. And don’t forget to engage with local press to get your restaurant as much coverage as possible! If you’re known for offering great value, make sure your marketing reflects this and reach out to those looking for a good deal. If your restaurant is better suited to families with children, offering a kids’ menu or half portions will encourage them to choose your restaurant. So, you’re bringing in new customers, keeping your regulars happy, and ensuring standards remain high. But, you still shouldn’t sit back and relax just yet. To continue developing your restaurant, you need to respond to the changing needs and wishes of your target audience. For instance, if you’re an eco-friendly restaurant with a focus on health food, be on the look out for the latest wellness trends or organic suppliers: this will give you an edge on your competitors, and keep your patrons coming back for more. Once you have established a steady flow of regular guests, you need to know that you are delivering what your loyal customers have come to expect. So, make sure that there is constant quality assurance, and that standards are consistently high every time they visit. Be constantly re-evaluating your offers, menus, and service. Ask yourself: is the food as good? Is the restaurant looking tired? Are the staff happy and polite? Are your prices competitive? If you do not ensure that standards remain high, and that you are meeting the expectations of both new and regular guests, your business will slowly but surely fall into decline. Running a restaurant can be exhausting, unrelenting, and all-consuming. However, you should still try to carve out time for yourself and your family, and there are ways to establish a healthier work-life balance. To run a restaurant successfully and still have a good work-life balance, you’ll need to delegate responsibility, and that means you’ll need a core team of dedicated staff you can trust. Exactly how many staff you will need will depend on your opening hours, and how many hours you’re prepared to work. It’s essential to have a strong managerial team, so whatever you do, make sure that there’s always at least one experienced senior member of staff present on every shift. Think about how might you re-structure your team to ensure the most effective workflow: are there certain times of the day or week when you need less staff at work, or when newer staff members could build up experience? The restaurant industry is always changing. New eateries will open and close, and the public’s tastes and expectations will change. If you want a restaurant which can survive all challenges and changes then you need to remain informed about the wider industry, and realistic about your opportunities for progression. You also need to be aware of the ever-shifting legal and health and safety landscape, which can change from year to year. It’s important to remember that however much you plan and predict things may not work out quite as you expect so, you need to think quickly and respond accordingly to any problems that arise. Despite the commitment and long working hours, running your own restaurant can be remarkably rewarding. So, if you think you’re up to the challenge, and you’re passionate about making it work take these pointers on board: it could be the start of an incredible business. Mike joined catering equipment supplier Alliance Online as Online Manager in 2008. He oversees the company’s day-to-day publicity and marketing campaigns and monitors the brand’s online presence. Prior to his role at Alliance, he spent 18 years as a Creative Director.